One newly-elected Vancouver city councillor wants the municipal government to ask TransLink and the provincial government to provide free public transit for individuals aged 18 and under. In a new motion that will be considered by council on Tuesday, city councillor Jean Swanson is pushing for free public transit for minors as part of the so-called “#AllOnboard” campaign. She also wants reduced transit prices based on a sliding scale for low-income individuals regardless of their demographic profile. Ahead of the full implementation of free transit for youth, this goal would partially be met by a new “first step” policy that would eliminate all bylaws that allow the ticketing of minors for any sort of fare evasion. ICBC would also be unlinked from fare evasion records for youth and adults. While such policies are certainly well-intentioned, how feasible are they? A sizeable portion of TransLink’s multi-billion dollar expansion plans — both the construction costs and the annual operating costs of increased service — depends on rising fare revenue. Concession fares for youth up to 18 years old and seniors 65 years and older are currently set at $1.85 for one-zone with a Compass Card stored value — lower than the $2.30 one-zone fare for other Compass Card users. This group also has access to the $54.00 flat-rate monthly pass for travel across all three zones. The provincial government also runs a highly-subsidized BC Bus Pass program that provides low-income seniors and persons with disabilities with an unlimited travel Compass Card for $45.00 per year. Any further downward lift on transit fares for Metro Vancouver youth and low-income residents would likely depend on significant new operational subsidies for TransLink from the provincial government. 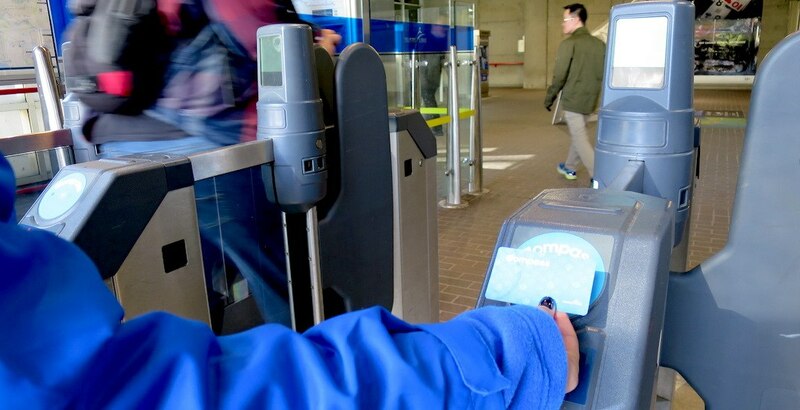 TransLink is currently engaged in a process that could switch the fare system for SkyTrain and SeaBus to a distance-travelled fare system, effectively abandoning the three-zone system. Depending on final approvals, this new distance-travelled fare system could be launched sometime this year or in 2020. The public transit authority has previously noted that the new system could enable discounts for children, youth, and low-income residents, but only if subsidy funding is provided by senior governments. To help fund the Phase Two transit expansion plan, the provincial government has already committed $30 million annually over 10 years to help subsidize TransLink’s operational costs. Furthermore, user fees through fares help make the public transit system more efficient, and helps quell overcrowding, which is currently an issue with TransLink’s services — even with all the new service improvements that have been introduced recently. But aside from the immediate challenges varying from cost to system capacity, providing children and teenagers with the ability to ride public transit for free could have long-term benefits in how they perceive and use transit as they age. It could “normalize” public transit in their lives, and this has been one of the most impactful benefits of the discount U-Pass for university students, which was first launched in 2003 for students at UBC and SFU. In 2017, a New Westminster city councillor also called on TransLink to provide free transit for youth 18 and under.